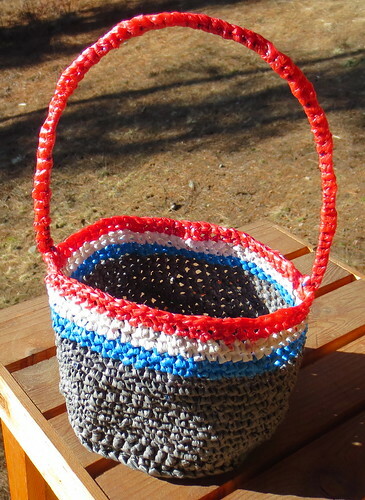 Here is my latest crocheted recycled plastic bag basket. 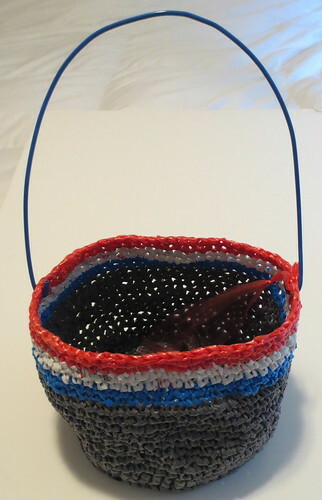 This basket uses mainly grey Walmart plastic bags and then I added stripes of red, white and blue “plarn” to decorate it with a patriotic theme. 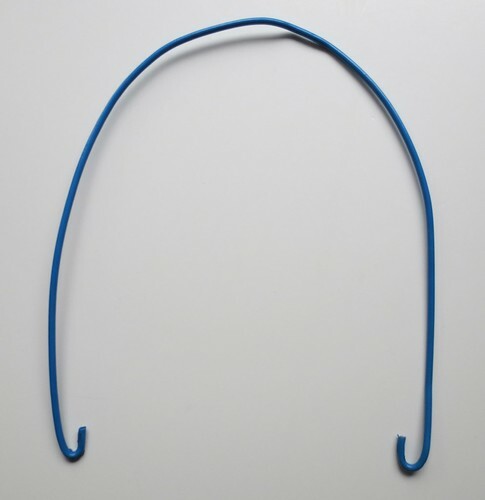 I used an old plastic-coated clothes hanger for the handle. I cut a piece 19 inches long and put some curved ends on the hanger so I could attach it to the sides of my crocheted basket. Once I had the hanger attached to the inside of the basket, I used a pliers to squeeze closed the curved hooks around the top edge to secure it to the basket. 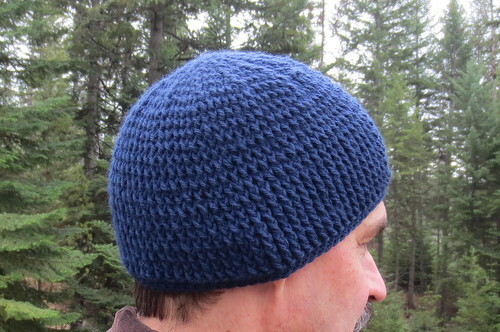 Here is my very thick front post crocheted hat. 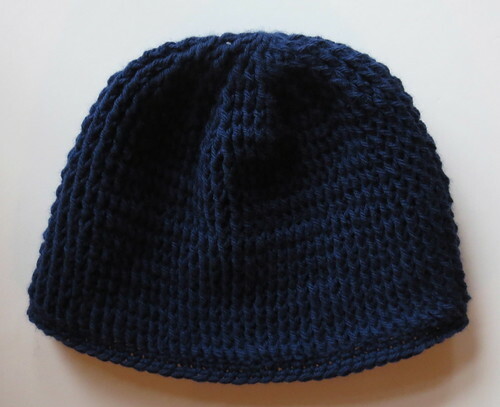 The hat is crocheted by working all front post double crochet stitches in the round. The result is a comfortable very heavy winter hat that will keep you warm. You can add a few extra rounds to make a longer hat as this is one more of a helmet cap as shown. I have included changes for a smaller ladies or youth size in the free crochet pattern below.